It looks like OnePlus is still not fully ready to let go of this useful feature, which was once the boasting factor for the company. As the mobile industry has evolved over the years, we've seen a lot of changes take place and people adapting to them with or without nagging. If you ask any gadget enthusiast about the dearest feature they had to let go in the name of evolution, there will surely be a lot of votes favouring a 3.5mm headphone jack. It looks like one brand is hearing those hurting souls. OnePlus, which boasts of being a consumer-centric brand, might bring back the 3.5mm headphone jack after being one of the last flagship makers to ditch it in OnePlus 6T. OnePlus 6 was the last Android flagship from OnePlus to have a headphone jack and the upcoming flagship could retain the beloved feature. Rumours are rife about OnePlus 7, which is expected to launch within a month or two. It is widely believed that the Chinese smartphone maker will launch not one but three variants of its flagship this year. OnePlus 7, being one of them, will be the entry-level variant whereas OnePlus 7 Pro and OnePlus 7 Pro 5G will be the premium choices for consumers. 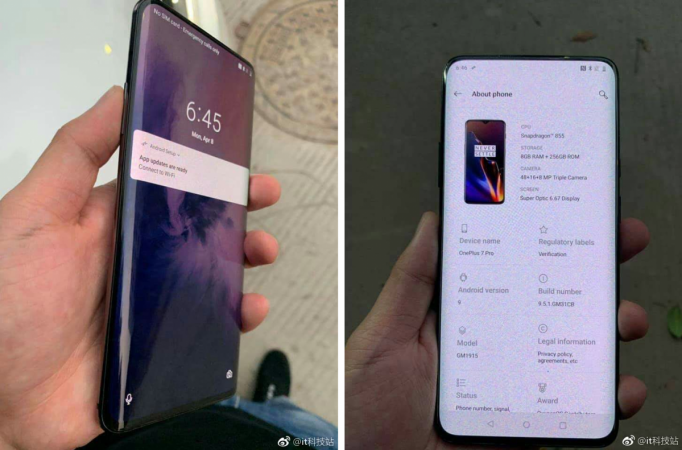 There have been a lot of reports outlining the possible features of the upcoming OnePlus 7 trio. But a fresh report out of China from CNMO is suggesting OnePlus could retain the 3.5mm headphone jack and place it between the speaker grille and USB Type-C port. 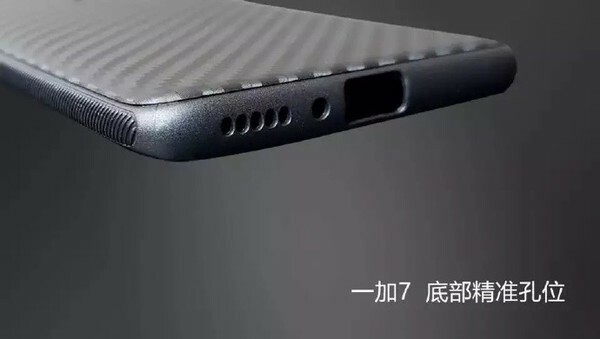 The speculation is based on the photos of a leaked phone cover, which is said to be for the OnePlus 7. It seems plausible to believe the rumour as OnePlus has two other variants where it could offer top-of-the-line features and support Type-C earphones. The cutout for the camera on the leaked phone case suggests a triple camera setup and there's another opening at the top, which is for the pop-up selfie camera. It's not clear what other changes will differentiate the OnePlus 7 from its Pro siblings, but an educated guess is that there will be a flat display compared to a curved one on the OnePlus 7 Pro. A recent leak showed OnePlus 7 Pro with a 6.67-inch curved OLED display panel, triple rear camera setup with 48MP, 16MP and 8MP sensors, Snapdragon 855 chipset with 8GB RAM and 256GB storage. By launching three variants, OnePlus will be able to better position its phones in the premium segment without drawing further criticism over its increasing prices. OnePlus 7 could be a more affordable flagship, while the OnePlus 7 Pro will likely target those who can spend the extra cash for an even premium experience. With an expected launch date in May, OnePlus fans won't have to wait for long to know more about their new favourite flagship. Stay tuned for updates.